Grande Prairie Pet Supply Store - Bone & Biscuit Co.
(Company name) Bone & Biscuit Co.
Born and raised in Grand Prairie, Lisa Boe is excited to finally have the opportunity to bring a natural solution for pets to the Grande Prairie and Peace Region. Being a pet owner herself, with 2 dogs and a cat, Lisa understands wanting the best for your animals. The Grande Prairie Bone & Biscuit’s knowledgeable team will be offering education and product information about the natural and healthy dry and raw pet food options available to customers. We carry hard to find pet supplies and food including raw product lines such as Pets Go Raw, Carnivore, Spring Meadows and Nature’s Variety in and high quality dry foods such as Orijen, Go and Now and a large selection of treats sure to entice your dogs and cats to listen to your every command. Lisa chose to join the Bone & Biscuit pack because she enjoys challenges and learning something new every day. Being the owner and operator of a Canadian natural pet food store will fulfill both of these passions. Lisa invites all and Peace Region pet owners to come in and introduce themselves. Keep checking out this page for information about upcoming events. View our store spotlight on this Bone & Biscuit location in our blog. 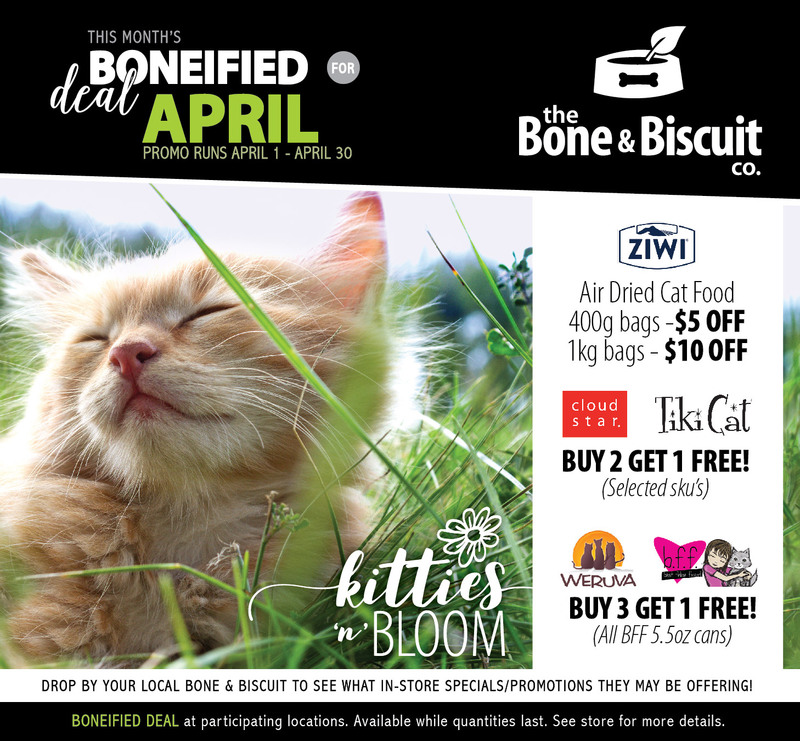 ADD A BONE & BISCUIT TO YOUR TOWN TODAY! and other pet care tips!